This entry was posted in GR and tagged ειδήσεις on December 27, 2014 by FEMEN. This entry was posted in NL and tagged nieuws on December 27, 2014 by FEMEN. 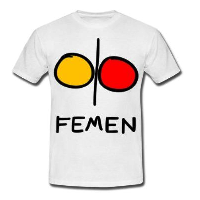 This entry was posted in EN and tagged news on December 27, 2014 by FEMEN. This entry was posted in PL and tagged nowości on December 27, 2014 by FEMEN.